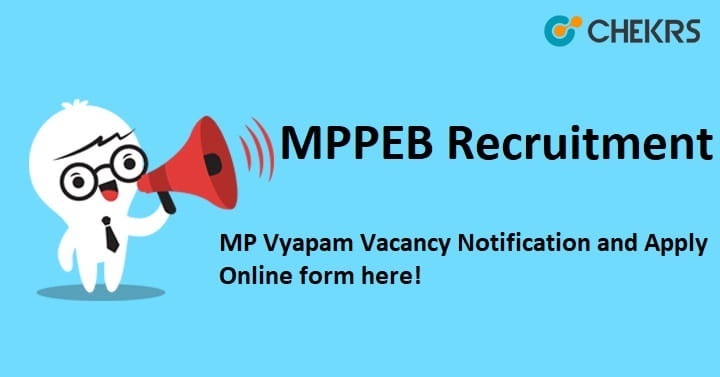 MPPEB Recruitment 2018: Madhya Pradesh Professional Examination Board (MPPEB) has released the recruitment notification to fill 150 vacancies for the post of District E- Government Manager (deGM), Assistant E-Government Manager (AeGM), Lead Trainer (LT), Trainer and Accountant. All the interested candidates must apply for MPPEB Recruitment 2018 before the last date i.e 15th September 2018. The online application process for MPPEB AEGM DEGM Vacancy has started from 1st September 2018. In regards to other details like age limit, eligibility, pay scale, etc go through the below details. Log on to official website of MPPEB. Click on the Online Form- Madhya Pradesh Agency for Promotion of information Technology (MAPIT) e- government Recruitment test Link which is available on home Page. Click on The Candidates Profile Link. Complete the candidates’s registration process. Log in with Registration’s number and ID. Save and take print out of application form for future reference. Remarks: All the job seekers who are currently looking for MPPEB Recruitment 2018 can apply for desired job post before the last date. To receive more updates on MP Vyapam job notification keep visiting our site www.jobs.chekrs.com. In case of any query or review place your valuable comment in the commenting section below and our team will revert you in a short while.